Watching YouTube videos is great – but what if you want to just listen? Stripping the audio from a video can let you enjoy YouTube content anywhere. You might even distribute a video podcast on Hangouts as an audio podcast! There is a lot of content on YouTube. You’ve probably noticed, and found yourself watching video after video well into the night on at least one occasion. But what were you watching? YouTube features everything from pop videos to classic adverts, TV event reactions to instructional pieces covering cooking, computers, nuclear fission, putting on makeup and much more. The fact is, you won’t want to watch all of these. 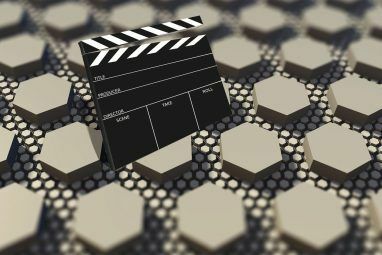 But with over 6 billion hours of video to view, there is a good chance that the clips you are really interested in might be too long to enjoy in video form. It makes sense, therefore, to strip the audio from these clips and experience them at your own leisure, perhaps in the car or on your MP3 player as you drift away at night, much like a free audiobook The 10 Best Websites for Free Audio Books The 10 Best Websites for Free Audio Books Want to listen to audiobooks without paying a premium? Here are the first websites you should check out. Read More . How Easy Is Stripping the Volume? After holding some video podcasts on Google Hangouts (inspired by James’ videocast guide This Is How To Run A Live Podcast Or Videocast This Is How To Run A Live Podcast Or Videocast Let me tell you - running a live video stream and podcast every week is tough work indeed. Actually... that's a complete lie - but don't tell my co-hosts that because they think I'm a... Read More ), it struck me that the regular listeners of my weekly show (upwards of 2000) would be missing out if they didn’t get their hands on an audio copy of the event on iTunes and Audioboo. It seemed sensible that there must be a method to strip the audio from the Hangouts session. Following this it would be a simple task to top and tail the audio with the usual intro/outro music and present it as a usual podcast. Surely Downloading YouTube Audio Files Is Easy? Various services and apps out there enable you to download the audio from a YouTube video. However, these have their downsides. Some are adware, while others charge a fee if you need more than 5 or 10 minutes. If you’re looking for something simple and free, with no limitations, then the app you need is our old friend VLC Player from VideoLan.org. Using this app, YouTube video audio can be stripped and saved as an MP3, ready for you to enjoy or distribute as needed. You’ll need to begin by downloading and installing the remarkably versatile VLC Player 6 Cool VLC Tips & Tricks You Might Not Know About 6 Cool VLC Tips & Tricks You Might Not Know About VideoLan's VLC media player is a real box of tricks and is just as effective on a Windows operating system as it is on Mac or Linux. Those of you who are already using VLC... Read More , if you don’t already have it on your system. Versions are available for Windows, Mac OS X and Linux operating systems, as well as Android. The instructions here are for VLC Player on the desktop. You will also need to have the YouTube video downloaded to your computer. This is usually easier with your own videos, which can be downloaded from Video Manager > Edit > Download MP4. Open the VLC, then Media > Convert/Save. Under the File tab, click Add then browse for the downloaded MP4. 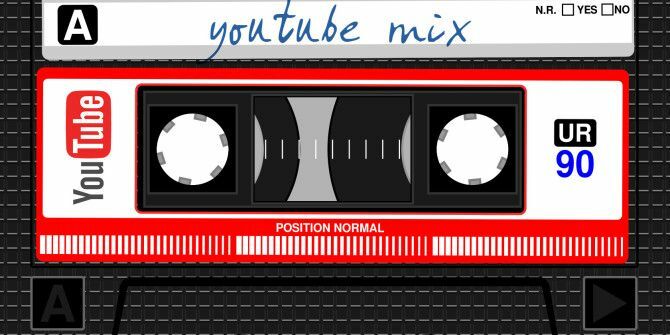 It doesn’t have to be a YouTube video – this method will strip the audio from any MP4 video and convert it to an MP3 audio file. Learn more about the differences between MP3 and MP4 What Is MP4? The Difference Between MP3 and MP4 What Is MP4? The Difference Between MP3 and MP4 MP3 and MP4 make up two of the most common media file formats today -- but despite the apparent similarity, the two couldn't be more different from each other. Here's our comparison breakdown. Read More . Use the Convert/Save button to select Convert, then change the Profile to your preferred output option – presumably MP3, but FLAC and OGG are also available. If you have problems with the output for MP3, switch to Audio MP3 (MP4), and if necessary change the .mp4 suffix to .mp3 if your MP3 player cannot play the resulting file. You will then need to specify a destination filename and location. Click Browse to specify a directory to save the audio file to – if you don’t, the video won’t be saved, even if you have entered a filename. Click Start, and wait as the audio is ripped from the video and saved in your preferred format. Once complete, the audio file should be ready for you to listen to or edit! 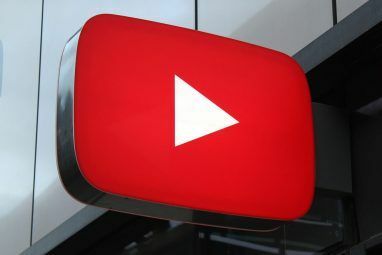 After successfully stripping audio from YouTube videos – or any MP4 videos you might have access to – you can enjoy the content perhaps on a car journey or while you’re at the supermarket. This method is easy, straightforward and gives good results. As long as the video you use is not corrupt, the extracted audio should work. 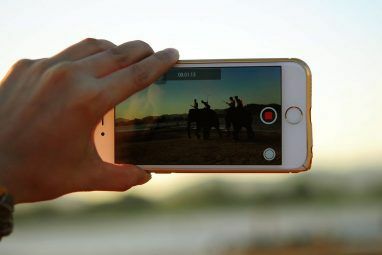 Explore more about: MP4, Podcasts, Video Editor, YouTube. I have tried some many tools for extracting audio from videos, and I recently find that HD Video Converter Factory Pro is a good tool. It is so easy to handle with and the conversion speed is also fast. Thanks for taking the time for making this tutorial, really appreciated. I'd also recommend Acethinker Video Downloader which I have used for many years. It is a free online tool that lets you save Youtube video as mp3 song right from the browser. Share it here as an alternative to VLC. Thanks for recommendation! But I found Total Video Downloader more useful! It can help me download more videos with high quality compared to other tools. I use and recommend Clipgrab. Works well and it's free! That's about how useful this is: you skirt the key issue, which is getting the YouTube content locally accessible. Great. Back to square one. In an article about extracting audio from a YouTube video, how is "getting the YouTube content locally accessible" even remotely a "key issue"? Look at the "Source" in the dialog image above: the "file://" means it's LOCAL. And you even said, "You will also need to have the YouTube video downloaded to your computer." So, if I can't just Save As from YouTube, the hardest part is the part you left out: getting the video as a local file. Since you can't extract audio without it, it's a key issue. My apologies, I was thinking of a totally different post when I replied last. Options for third party videos are available, but we don't cover them here. I know it's a 1.5 year old post, but if anyone stumbles upon this and doesn't know how to save youtube video on your driver, there IS a solution. Just type the video url there and press a button. So useful! Thank you so much! Thank you very much for helping me with my movie Project. This is a very good website and thank you very much for the hard work you´ve put in it. Without your help I wouldn't be able to edit my movie. For some reason windows movie players could not recognize the audio files, so I had to extract this with vlc and reconnect them. Thanks. Happy to have helped, Fabio! I used Gilisoft Audio Converter Ripper to Extract Audio From An MP4. Thank you for this! I would like to strip the audio from just one or two songs on a very long (concert) youtube. Is there a way to do that? Otherwise, the file seems too large and I get crashes and such. Thanks! Disappointed in the VLC program. When it works for audio stripping, its great, but more often than not it crashes. Just like Randy, my VLC player (version 2.1.5) converts MP4 to MP3 but the converted file doesn't play on any player. But my VLC player converts AVI file to MP3 without problem. What could be the problem! VLC does tend to revise the UI from time to time, so while the features are probably still there, they might take some uncovering. As to your question, "Did you really do this yourself?" ...well that's rather rude, don't you think? Did *you* really try? Anyone know how to download videos from Youtube (usually MP4 files) which have DRM protected content to watch on mobile devices/tablets etc...?? After a little big digging, I found an article named "How to Extract Audio from MP4, AVI, MKV, MOV, FLV, WMV, etc on Mac and Windows?" from Faasoft Video Converter website. 1. Extract audio in MP3, AAC, AC3, WAV, WMA, Apple Lossless, M4A, DTS, AIFF, MP2, AU, RA, FLAC, OGG and etc from video files. 2. Extract audio from all kinds of video files like extract audio from MP4, extract audio from FLV, extract audio from AVI, extract audio from MOV, extract audio from MKV, extract audio from WMV, ASF, SWF, VOB, OGV, WTV, RMVB, WebM, MVI, MXF, AVCHD, MPEG, 3GP, and etc. It allows to select the quality of your mp3 too. sound tap streaming audio recorder is direct and free. My favourite website for extraction of mp3 from YT is offliberty.com - easy and efficient. One of my favorites is the chrome extension " Streamus "
It's very useful for streaming youtube - content without the video. It plays in the background, so you don't need additional programs like spotity etc. You cannot use it for downloading, but with wifi and todays often flat internet - rates, we are streaming more and generally keep less stuff downloaded. 1. Format Factory > all to mp3 (or other) > high quality and size > Settings > click at extreme right for a lot of options > that's it. BTW Format Factory (a front end for MEncoder) is the only one out there with amazing features for a free Multi Converter. 2. mmg > add > check audio stream > uncheck all others > start muxing > that's it. Portable is good if you are not a regular encoder. BTW 6.4.1 is the best windows version ever. A small problem: mmg saves the audio file as mka. As at March 23015 -- Format Factory will attempt to install every PUP known to man. The home webpage is a shambles as is the GUI. There is a much simpler method to do the job. Simply use mkvtoolnix. 2. Add the required file. 4. Exit mkvmergegui when done. 5 Add the freshly muxed mkv file as the "input file". 6. Select / check mark the audio track. You have your ORIGINAL and unaltered audio file. The whole process - regardless of the file format / size will not take any longer than a few seconds to may be a couple of minutes ! I left one point out though. You can completely eliminate the second part. You could simply check mark only the audio track and mux the file. What you would end up with would be an MKV file with only audio in it. This would however probably not play under most MP3 players. Um... use Right-Click > Extract Audio? I personally use keepvid.com You just have to enter the YouTube video URL and it gives you the download links of all audio and video formats. We can even download just audio or just video of any format we want. It can do this and so much more. Any limits on it, Ron? No limits that I know of. @Chinmay, Thanks for the link to Clip Converter. any idea how to do this with Audible.com (aax) files? Haven't tried it, but read about it on LifeHacker. I use video downloadhelper, a Firefox add on, to grab videos I want to keep. I usually use youtube-mp3.org for audio extraction. I like that because it works as week on mobile devices as PCs and doesn't require Mr rio install anything. I used to use an app called Grappler to download and extract YouTube stuff, but it hasn't been updated in a while to work with some new tweaks that YouTube has put in place. I've gone back to my old standby, keepvid.com to download the mp4. Then just dump the video in QuickTime and export as an audio file. So simple! Yes, lots of options to separate audio and video in one click. To advise readers to use VLC shows a real lack of research, but it's your site so . . .
VLC is a great program and for anything big it's a great way to go. While there are a lot of simple solutions (I myself use ClipConverter) they come and go but VLC will always be there for you and it does more than rip audio or download videos. Well firstly as Vc N says, VLC is a great app and it's somewhat foolish to run around looking for new apps to complete tasks when you already have one to do the job. Second, it's not a lack of research: it's about opening a dialogue with our readers. This is how blogs work - it is unlikely that we would have such a great series of comments on this post if I'd offered a more comprehensive list. Perhaps your lack of experience or skill is driving your remarks? VLC is THE Holy Grail of desktop media ANYTHING! If it were a paid for app, which it's not-it's FREE, I would toss out a few Benjamin Franklins for it-in a heartbeat. Combine that with the Firefox FREE addon Download Helper, and shazaam! You can download, convert in one whack, and play in ANY format on VLC. And that doesn't even scratch the surface of it's abilities. My favorite way to save the audio from ANYTHING I hear on my computer is MP3MYMP3 which is a free program that can be found at http://www.mp3mymp3.com/. Dona, was the Trojan in the download, or on the site? MP3 Rocket does this for you. They have a free version or a paid version. I was given a lifetime subscription and you can actually watch the video's and extract the audio from them! Is this a website, app or extension, Eric? Are we talking about http://www.mp3rocket.com ? Useful, I'll check it out. I'd personally recommend http://www.mediahuman.com/youtube-to-mp3-converter/ . It has no ads, and is extremely convenient, from my experience. This is also a extremely complicated and long process. I know a super easy way of downloading audio without even downloading the whole video. Head over to its addon page. and install the addon according to your browser. Then just visit any youtube video and you will be able to see its different downloadable format below the video. Just click on mp3. It will redirect to its site and then click Download. And it is completely free and there are no restrictions. Excellent comment, Chinmay, thanks for sharing ClipConverter! I've bookmarked it for future use. I use the bookmarklet from ClipConverter for converting and downloading videos and audio. It opens in a new page and it saves me from adding another addon to my browser.